With generous support from the College of Liberal Arts, the Depart of Sociology piloted a new program aimed at diversity and inclusion. 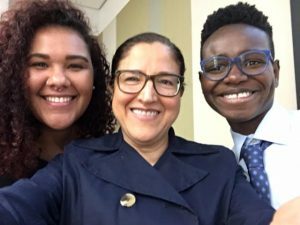 This program, the Student Minority Liaison initiative, is an effort led by Carmen Gutierrez, Shannon Malone, and Gloria Gonzalez-Lopez (our faculty Minority Liaison), with support from Rob Crosnoe, Becky Pettit, Christine Williams, and with assistance from Evelyn Porter and Julie Kniseley. The Student Minority Liaison initiative is designed to enhance inclusion by making diversity and the experiences of underrepresented minorities a priority in all areas of the department. As part of the Student Minority Liaison initiative, we launched a Brown Bag Series focused on underrepresented minority scholars and their research. 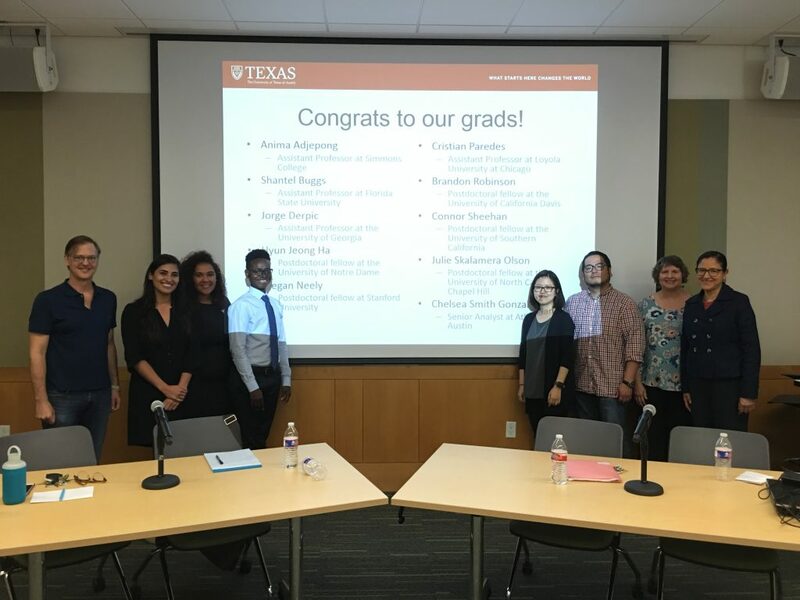 We kicked off this Brown Bag Series by honoring four of our department’s graduate students who are all making successful transitions into academic jobs in the fall of 2017. These scholars include Anima Adjepong, Shantel Buggs, Hyung Jeong Ha, and Cristian Paredes. The Brown Bag presentation consisted of each one of these students sharing their experiences on the academic job market and offering their advice for other students navigating this process in the future. Below summarizes each person’s unique background, academic position, experience on the job market, and advice to fellow graduate students. Anima is joining the faculty in the Sociology Department at Simmons College in Boston, Massachusetts. During graduate school, Anima conducted research on a range of social issues related to race and ethnicity, gender and sexuality, and migration. 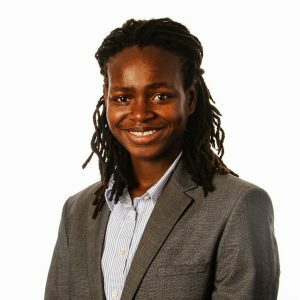 Anima’s dissertation is a study of a black immigrant community, their political and cultural formations, and how they relate to and shape the discourse in both the United States and their African country of origin. While conducting this work and navigating the academic job market, Anima decided not to conform to the expectations of others, but instead marched to the beat of her own drum. This decision was also strategic to Anima in that the process of staying true to herself ensured the work she could expect to take on as a tenure-track professor would be consistent with the work she was committed to conducting. This way of navigating the academic job market also ensured Anima with a great deal of self care. By checking in with herself and her well-being throughout the dissertation-writing process, Anima was able to uphold both the commitment she made to her work and the style of working that best suited her strengths. This strategy helped her fulfill her basic needs, including finding joy throughout a year filled with job applications and dissertation writing. Anima also worked with a small group of people on the academic job market who helped her in multiple ways. This group helped members organize deadlines to prepare materials for the job market. People in the group provided feedback for one another, offered accountability, and shared announcements for jobs. Working in this collective space also provided Anima with important emotional support during a time filled with uncertainty and anxiety. Shantel is joining the faculty at Florida State University in Tallahassee, Florida with an appointment in the Department of Sociology as well as an affiliated appointment in Program in African American Studies. 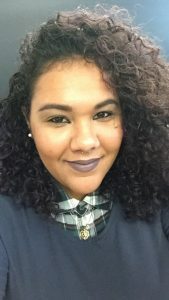 Throughout graduate school, Shantel’s research has centered on the ways race and ethnicity and gender and sexuality shape family and romantic relationships. Shantel’s dissertation investigated how mixed-race women navigate race as well as form and maintain relationships in the context of online dating. Through the process of applying for academic jobs, Shantel juggled a number of responsibilities given her involvement in external teaching positions, service work, and planning committees. Because of her multiple commitments, Shantel emphasized the ways she was kind to herself by being realistic with her work—sometimes extending deadlines associated with getting grades out for students needed throughout the semester. Despite her heavy workload, Shantel applied for academic positions widely and broadly. Shantel emphasized the way this practice reflects a common fear among graduate students of not getting an academic job. If this is a decision made my other graduate students, Shantel recommends making strategic choices along the way. For example, Shantel advises to be sure to make double use of the work required from both the job market and the dissertation. Publishing should represent work from your dissertation. A job talk should serve as an outline for your next dissertation chapter. Shantel also recommends that graduate students use deadlines for conferences or other events to push work required for the job market and the completion of the dissertation. Doing so helps you make progress in your daily tasks associated with graduate student life during the process of getting a job. 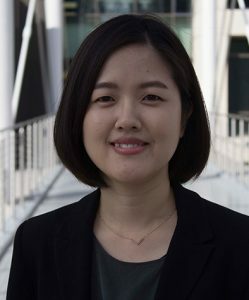 Hyung Jeong will join the Sociology Department at the University of Notre Dame in South Bend, Indiana as a postdoctoral research fellow through the Global Religion Research Initiative—a program designed to advance social science research on religions around the world. Hyung Jeong’s dissertation studied ethnic and religious minorities in the Middle East and North Africa, and the way that these personal features interact within political and geographical boundaries to shape minority identities. Her dissertation draws on ethnographic work conducted in Cairo, Egypt. As an international student from Korea studying issues pertaining to the Middle East, Hyung Jeong anticipated others asking her to explain why she was studying a place she was not from—a question not generally imposed on white majority students. This type of additional work disproportionately experienced by people of color reflects the nature of advice Hyung Jeong provided in preparing for the job market. Hyung Jeong emphasized that although there are many aspects of the job market outside of our personal control, there are still many features of it that we can control. For example, Hyung Jeong encourages graduate students to get in touch with their dissertation chair, dissertation committee members, and other mentors to discuss the types of jobs they want. In doing so, graduate students inform these individuals on the best ways they can support us in our experiences on the academic job market. Graduate students should give information to their committee members as early as possible—sometime during the semester before sending out job applications—to ensure they receive the support needed throughout the tiresome process of navigating the job market. That way, professors can help you focus on the strengths related to your work that best fit with the skills needed for your job after graduate school, whether you want to work as a professor at a research or a teaching institute. 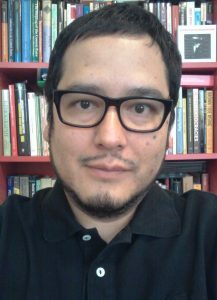 Cristian is joining the faculty in the Sociology Department at Loyola University in Chicago, Illinois. Cristian’s work is shaped by his personal experiences living in the United States after growing up in Lima, Peru. During graduate school, Cristian’s investigated the influence of immigration on several social dynamics in U.S. cities. Cristian encouraged students to also take on work that fit their personal experiences. This strategy helped Cristian explain the motivation for his research and also demonstrate his unique position in conducting this work. Cristian mentioned, however, that the process of choosing your work should also reflect the needs of the job market. For example, Christian recommended that graduate students find research topics suitable for the academic job market by adjusting their interests to correspond with the social relevance of the field. In this way, graduate students should consider balancing a topic that is realistic to their skills and ability, but also attractive to the market. In terms of long-term preparation for the job market, graduate students should consider what jobs are announced and what areas of interest in are often hiring for positions. Graduate students often enter the PhD program with set ideas of the work they expect to take on, but Christian advises that it is important to be open and flexible to the needs of the job market. Graduate students should consider tailoring their work to best situate themselves as competitive applicants, even if it means making temporary changes to their anticipated research agenda. Landing a job allows people to expand their work in their own personalized ways that are first constrained by the job market. Christian also encouraged graduate students to think about alternative career paths. The job market and the process of landing an academic position involves a great deal of circumstances that are outside of our control. We also must accept that there are simply not enough tenure-track positions for every graduate student. Some students earning their PhD inevitably work outside of academia.